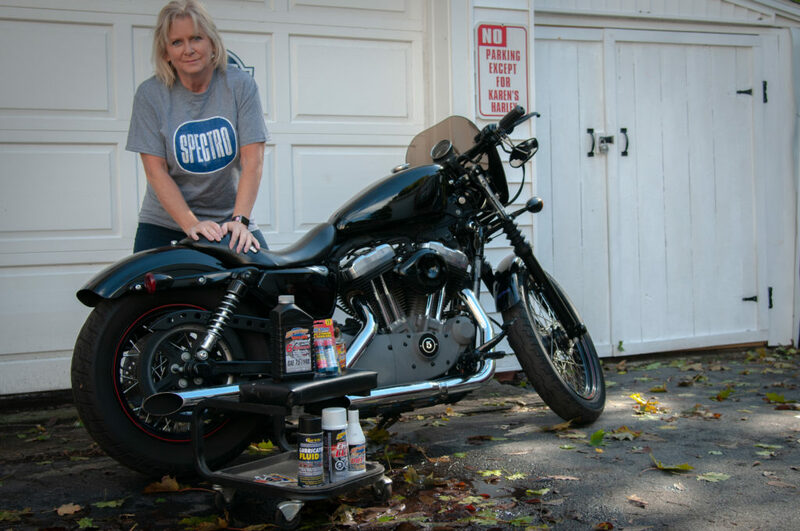 An Update from the 2018 Ultimate Biker Makeover Winner Karen Anderson! 2018 found us celebrating our 10th anniversary of the Ultimate Biker Makeover! Contestants (Girls and Guys) were asked to submit a 600 words or less essay – describing why they are most in need of a biker makeover along with a photo. Deadline for entries was June 22nd 2018. Submissions were narrowed down to the final four by selected judges from Garage-Girls. From there, the judges had to make the tough decision of who they felt most deserved the Ultimate Biker Makeover. Karen’s story of powering through not only one type of cancer diagnosis and treatment, but 4 was pretty compelling. How does one get through a blow like that? 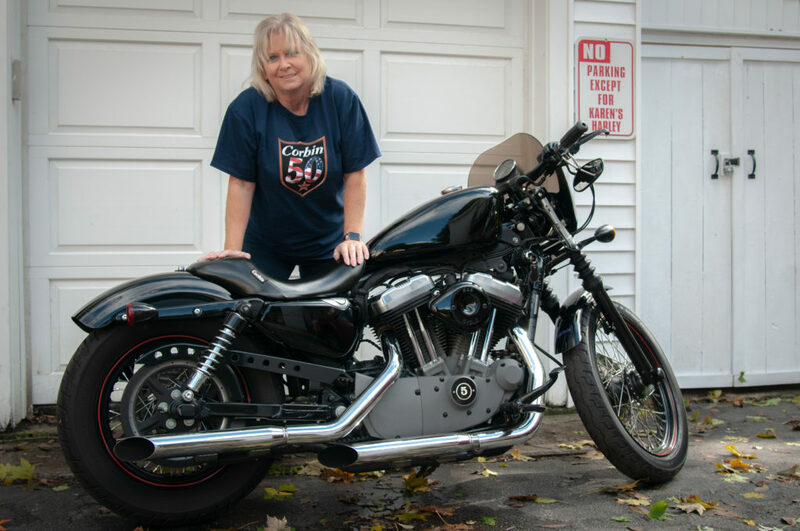 We all just couldn’t get over how tough this must have been for Karen, but were happy to read that riding her motorcycle to chemo and radiation was what empowered her through it all. This confirmed to us all that we needed to help this woman stay out riding on the road. Riding was how she was surviving. 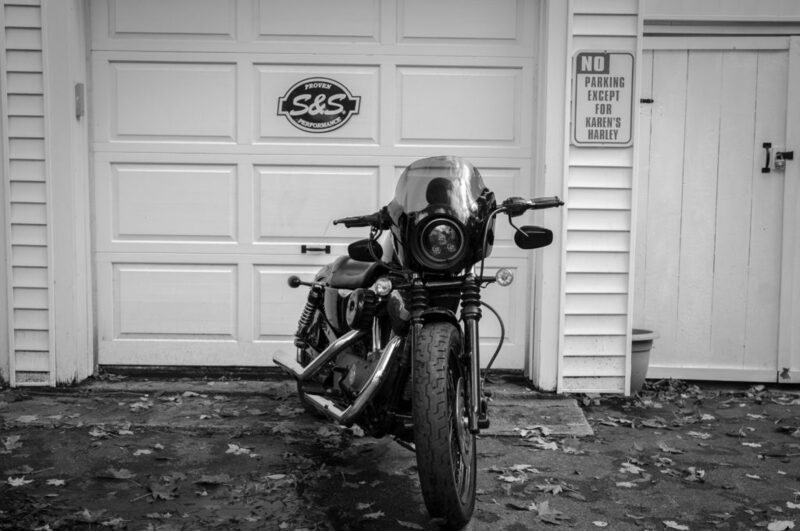 I love the new look that my motorcycle has now. I had always hoped to add these finishing details, but never could allocate the funds. These prizes have really completed the vision I had for my bike in my dreams. My bike’s performance has improved with the new air cleaner: no more backfiring! And installing the faring certainly helps keep the cold autumn wind off my chest! 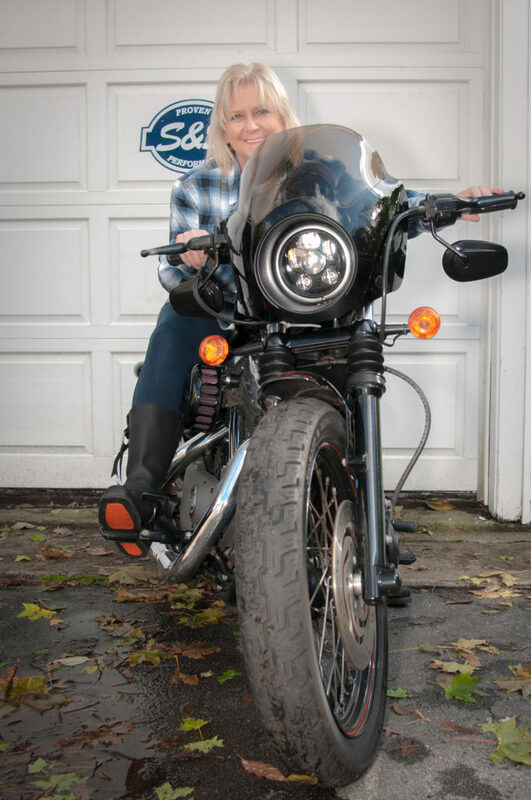 Congratulations again Karen, we are so happy to help keep you on the road riding and staying in the fight! 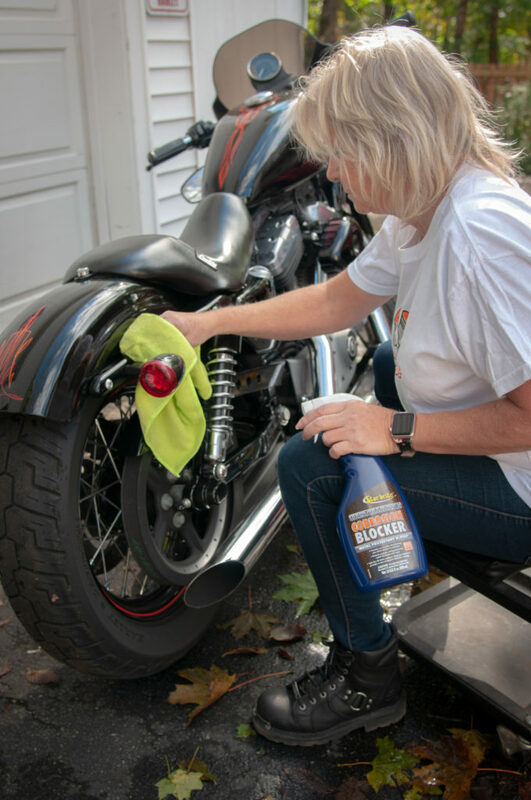 We couldn’t do this with out the support of our sponsors, Harley-Davidson Footwear, Spectro Oils, S&S Cycle Inc., Memphis Shades, Corbin Seats, Bare Knuckle Choppers, and Star Brite.